As you know, I've been prepping for a very Kate Spade inspired Halloween party with my friends Kate Aspen for the past few weeks. I spent tons of time prepping, pinning and planning for this event, and I am happy to say that it came together beautifully. Instead of giving you everything at once, I am going to break down the party into several posts. I hate when bloggers give one detail at a time starting with the smallest one, so instead, I am going to work backwards and give you the full spread first with smaller details later. 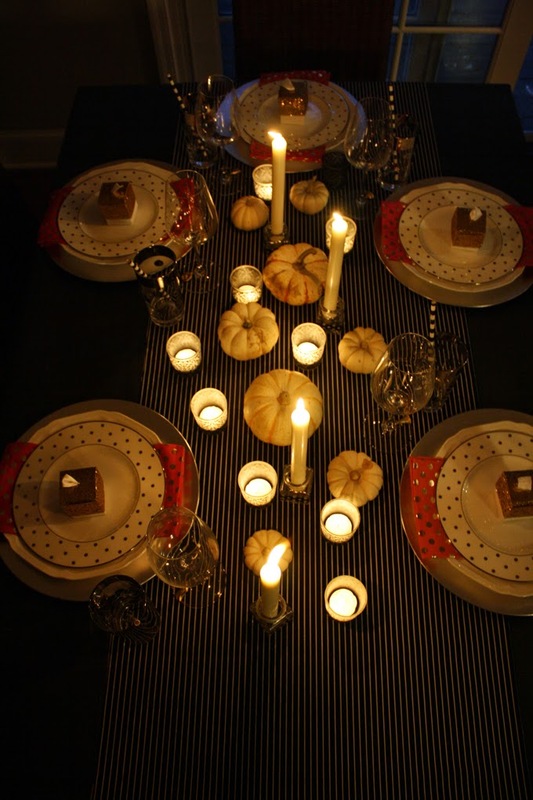 Up first: the place settings & table decor! 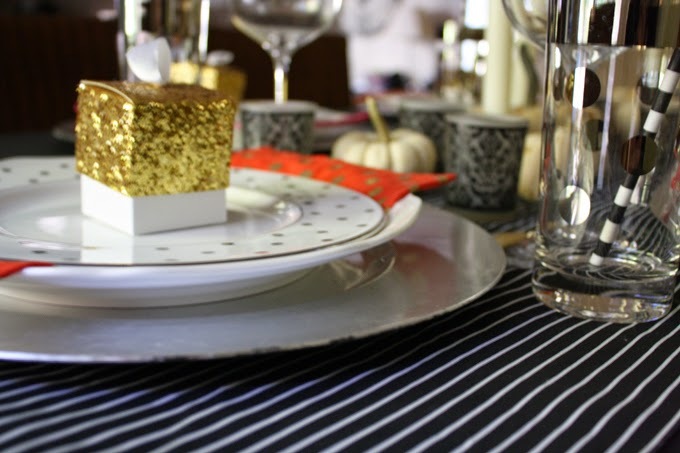 Our wedding china is Kate Spade's Larabee Road, so it worked perfectly for this event. I paired my polka dotted salad plates with some cloth napkins from Anthropologie I scored on major sale several years ago. Then, I topped each one off with an all that glitters is gold favor box from Kate Aspen. One of the things I knew I wanted was to create an intimate dining experience for my friends, so plenty of candlelight was required. 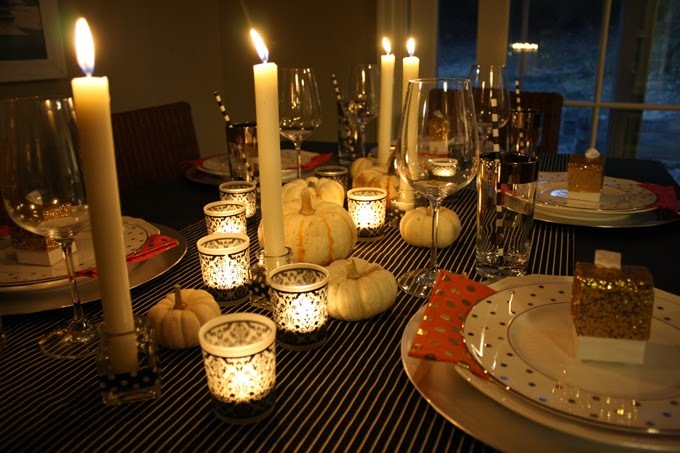 The damask tea light holders were a great addition to a few pumpkins I found at Trader Joe's. I then added a few taper candles to these little bottles (more on this later this week), and I had instant height and glow. Win win! Finally, I made sure to include a few subtle details here and there. 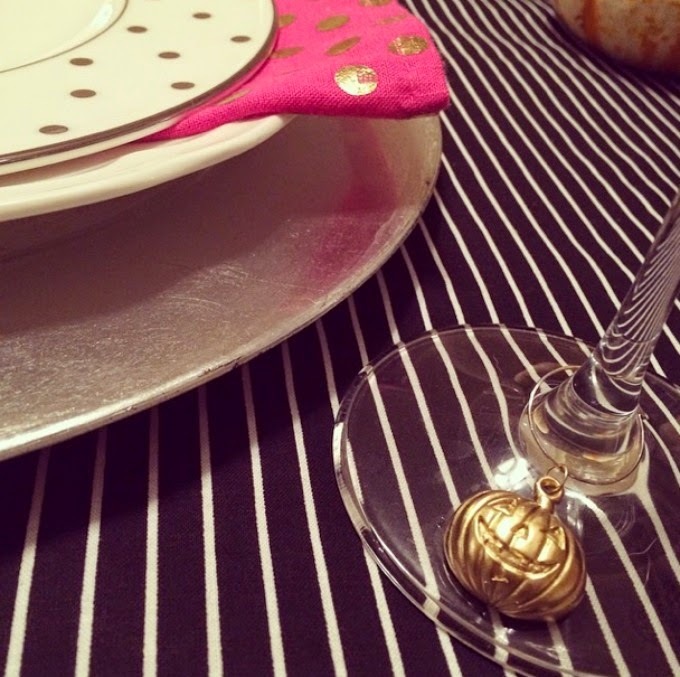 A quick spray paint to these wine charms gave instant glam to otherwise kitschy decor. I also added a black and white straw from Kate Aspen to continue the theme. 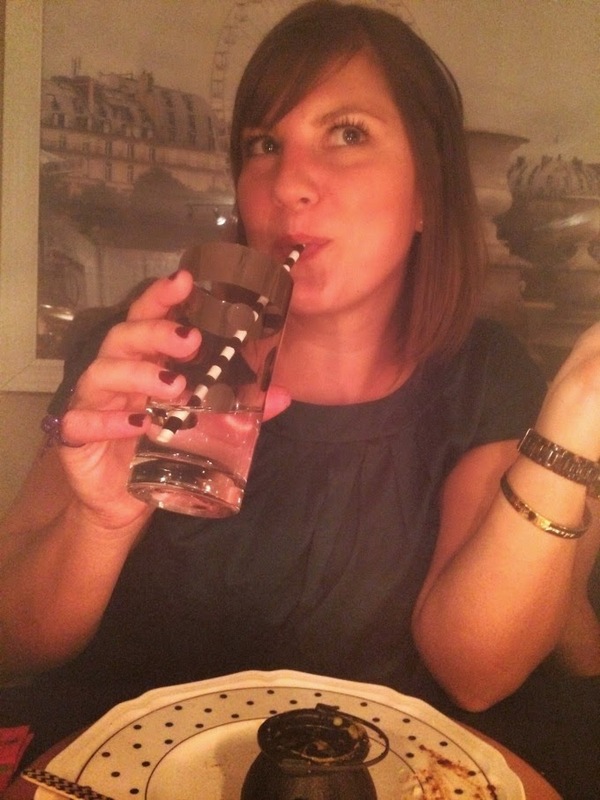 Who doesn't love sipping from a paper straw? 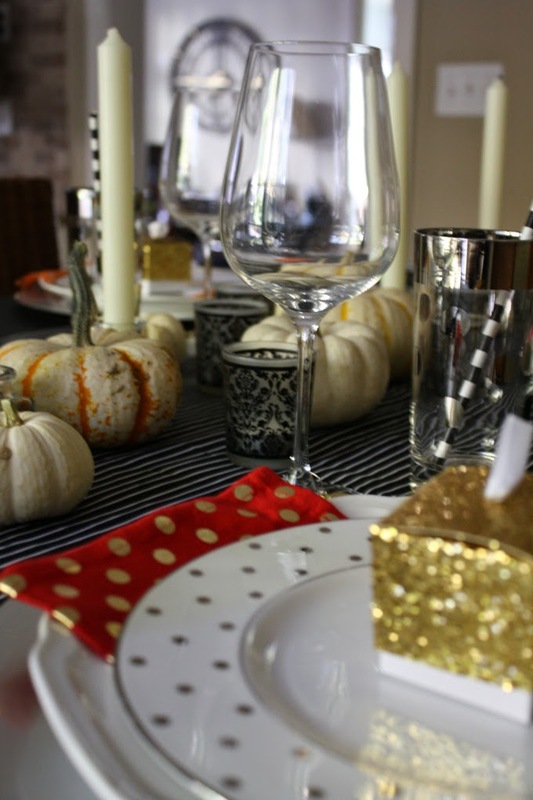 Stay tuned for the next several days as I unlock more and more of this Kate Spade inspired Halloween affair! And thanks so much to Kate Aspen for supplying me with a lot of the goodies you see here.